Marine Data Management Awareness course goes down a treat! 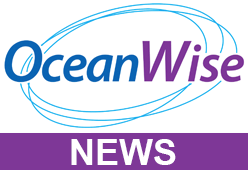 OceanWise > News > Uncategorised > Marine Data Management Awareness course goes down a treat! On Thursday 18th June OceanWise provided it’s first “Marine Data Management Awareness” course, on behalf of IMarEST, at its London HQ in Aldgate House, London. The course was met with some really positive and useful feedback. Thankfully, at the end of the day for what to many is a dry subject, the window was not used as a means of escape! Instead we had enthusiastic delegates who were ready to go back to their workplaces and take the first steps towards implementing a Data management policy or improving an existing one. Throughout the duration of the course it became clear the importance of employing data management best practices, such as how Metadata and Linked Data can increase the efficiency of operational processes in the a workplace, which will lead to generating increased income and generate greater customer satisfaction in products and services offered. The delegates were pleased to hear that the learning doesn’t just stop at the end of the day; all delegates have now been invited to try OceanWise’ new Learning Management System (LMS) where they can view course content and notes, participate in discussion forums and complete personal or organisational objectives. All feedback we receive on the LMS will be used to improve our training and capacity building services and is set to be come available for all OceanWise course participants later this year.